Im so glad i dedided to work with template moster. I love the design, it is perfect for a rock band site, but the most impressive aspect is the awesome customer service. You can contatct them through a live chat and they always answer all your questions and doubts. Even though i am an IT engineer, i found this template and joomla highly usefull, easy and very quick. i think theres no other way. 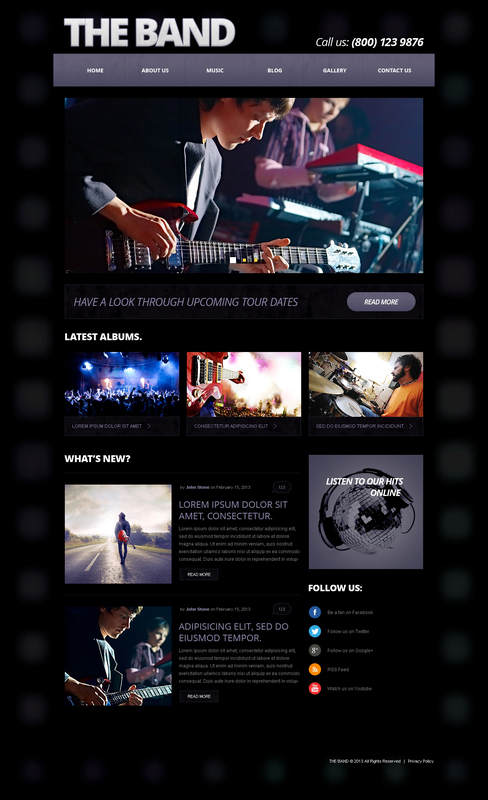 I really suggest this template to all musicians who want to get a proffesional website. The theme will perfectly fit music, entertainment, media, design, and fashion sites.